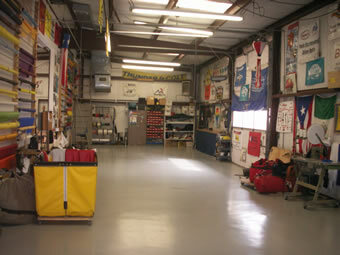 Balloon Repairs of East Texas was started in 1994. B.R.E.T, is a small, dictated shop that provides quality service at reasonable rates to balloonists in the Tri-state area of Louisiana, Arkansas, and Texas. Although most of our customers are from the local area, balloonists from as far away as California, Washington state, the Midwest and the East Coast have utilized our services to take advantage of our years of experience. Our reputation of quality workmanship and prompt service with over 30 years of ballooning experience is the reason we have been selected to assist in over 14 World Record attempts. Many of these attempts have been successful, (Bussey, Harwell, Uliassi, Winker) and we stand ready to assist anyone interested in record or special projects. Our staff has been working with home builders, offering assistance with engineering, materials, patterns and testing programs. The dictated ballooning staff at Balloon Repairs of East Texas is ready to assist every balloonist in any way possible, from answering questions via phone, to a complete fabric replacement.